This white stainless steel designed by Vipp is ultra sleek and modern. The kitchen has been designed immaculately down to the smallest details. The freestanding concept is unusual and brilliant as are the handles. The kitchen is modular and can be ordered in different sizes. A white kitchen doesn’t have to be bland. 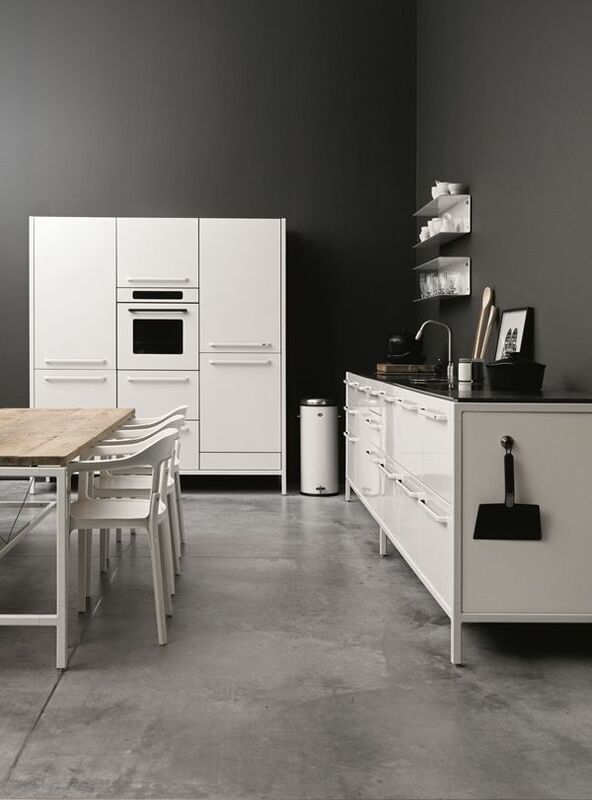 The charcoal walls and concrete floors contrast with the white kitchen and make it stand out.